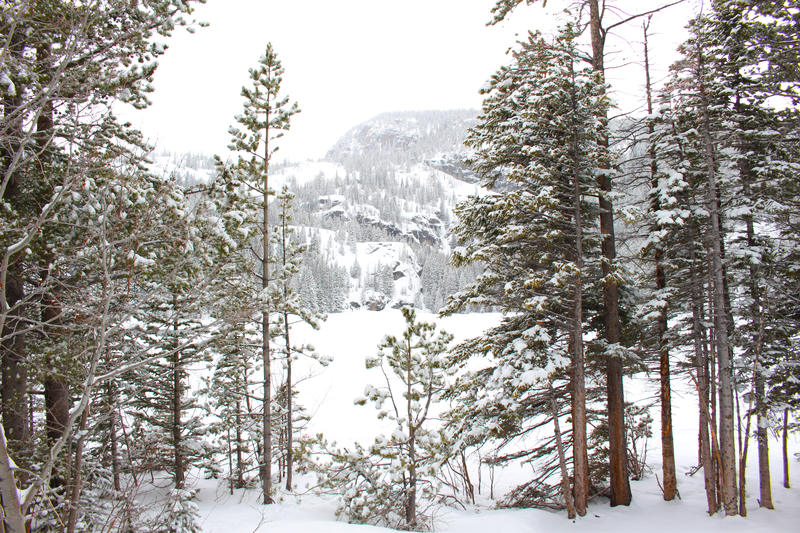 Colorado has a special place in our hearts. Our founder, Matt Hill, used to travel there often and almost started One Tree Planted there. 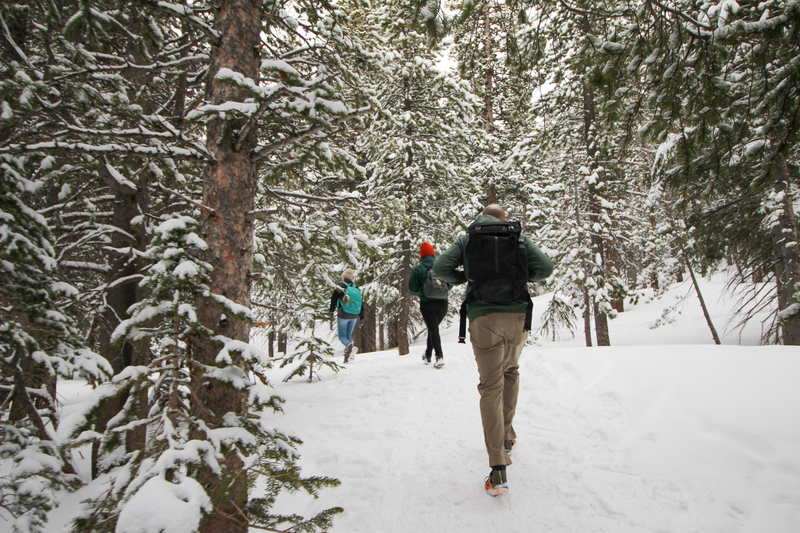 The people, the mountains, the positive atmosphere, we just can’t help but keep going back. It also happens to be an area prone to wildfires, with several regions losing thousands of trees over the past decade in the Boulder area. 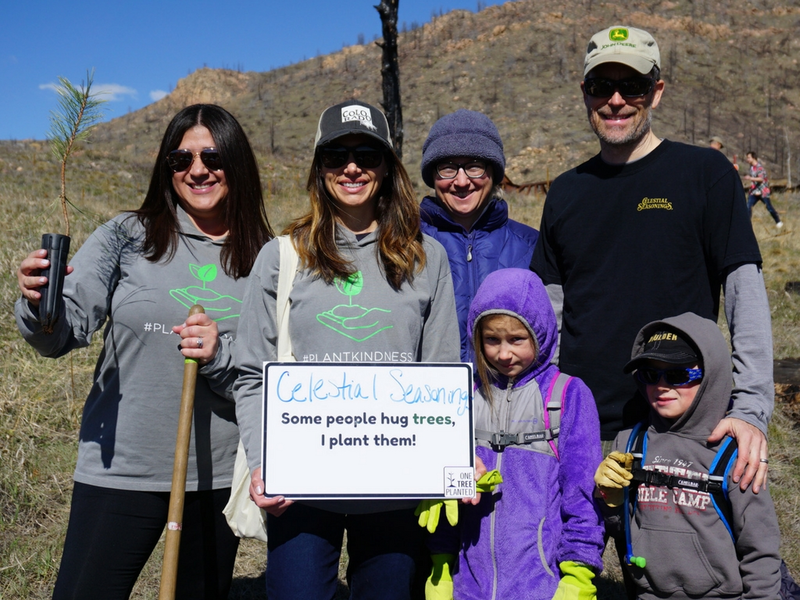 That’s why we’ve decided to make Colorado the location of our annual Earth Day tree-planting event. 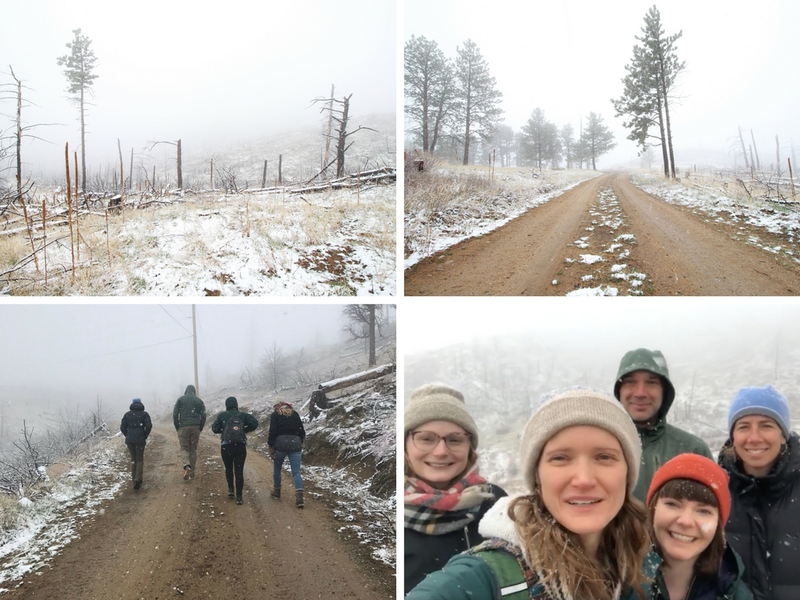 We sponsor lots of Earth Day events across North America, but this is the one our staff attends as a bonding experience mixed with hiking and adventuring. 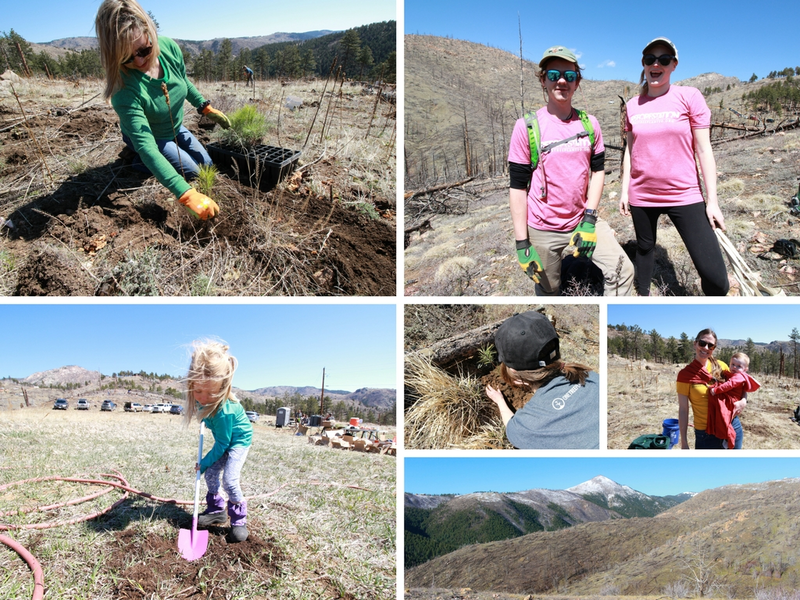 For Earth Day 2018, we planted 7,000 trees and shrubs in Fourmile Canyon, with almost 200 volunteers and an incredibly knowledgeable professional eco-crew. The Fourmile Fire in 2010 burned 160 homes and left whole mountainsides scorched and without vegetation. 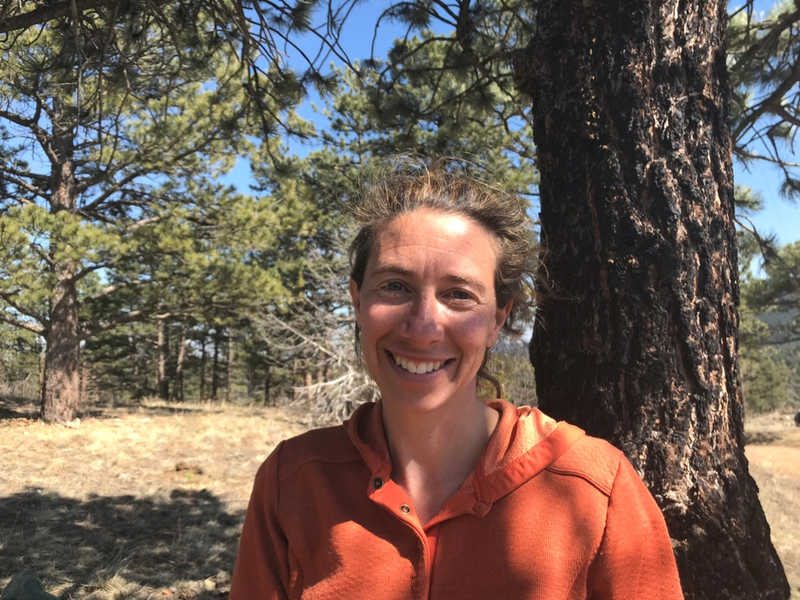 Mountainous areas that experience wildfire are prone to flooding and landslides in the subsequent years, and that is exactly what has happened in Fourmile Canyon. Thousands of trees have been lost as a result of multiple disasters. We planted on private land, where the forest areas are generally left alone to simply exist. At first we thought the landowner’s home was one of the lucky ones that was spared by the fire, but it turns out that it looked as good as it did because it was originally destroyed by the fire, and they had since rebuilt it. The good news is that the land was showing signs of life again. There were bluebirds flying overhead, small green plants growing naturally, and animal droppings (gross, but still a good sign of life!). So we knew this was a great year to begin reforestation in the area. 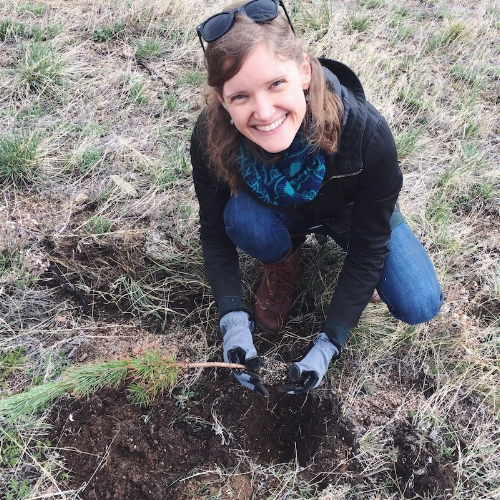 The species planted included Ponderosa Pine, Chokecherry, Wax Currant, Bristlecone Pine, and Juniper. 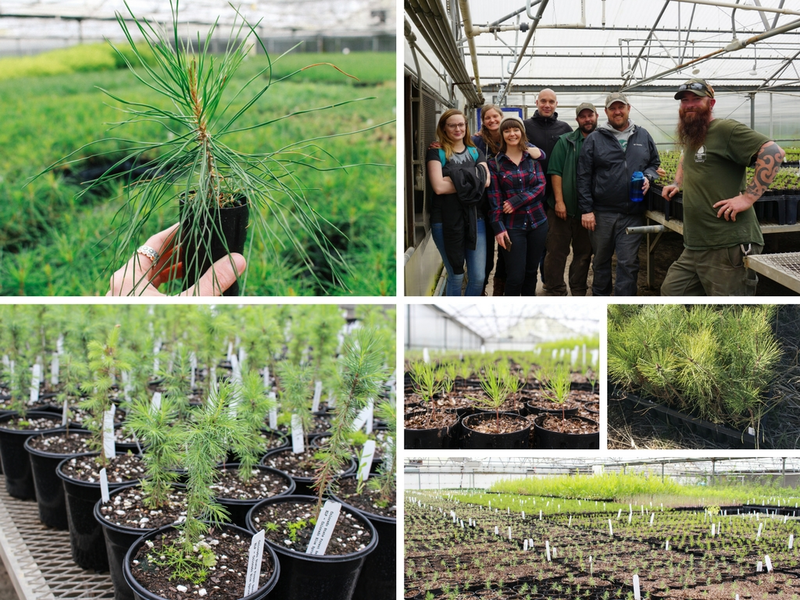 All of the plants came from the Colorado State Seedling Nursery in Fort Collins, so they didn’t travel far, and were grown with lots of love and care by an awesome group of professional tree-growers. Generally speaking, our projects at One Tree Planted can vary widely in terms of how the trees get planted. 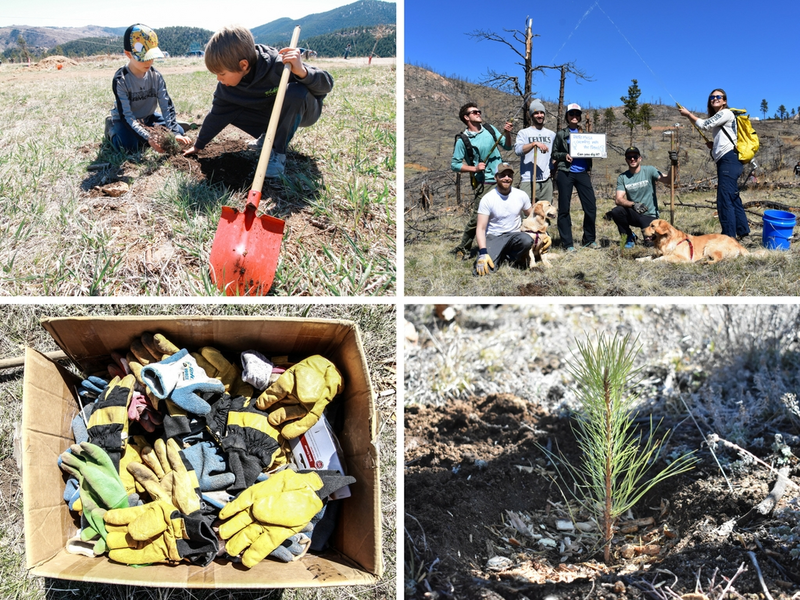 Sometimes it’s by professional planting crews when it’s part of a large reforestation project, other times it’s local volunteers, and still other projects could be in the form of tree distribution to farmers or local landowners who plant and tend to the trees on their own land, rather than all planting together in one place. 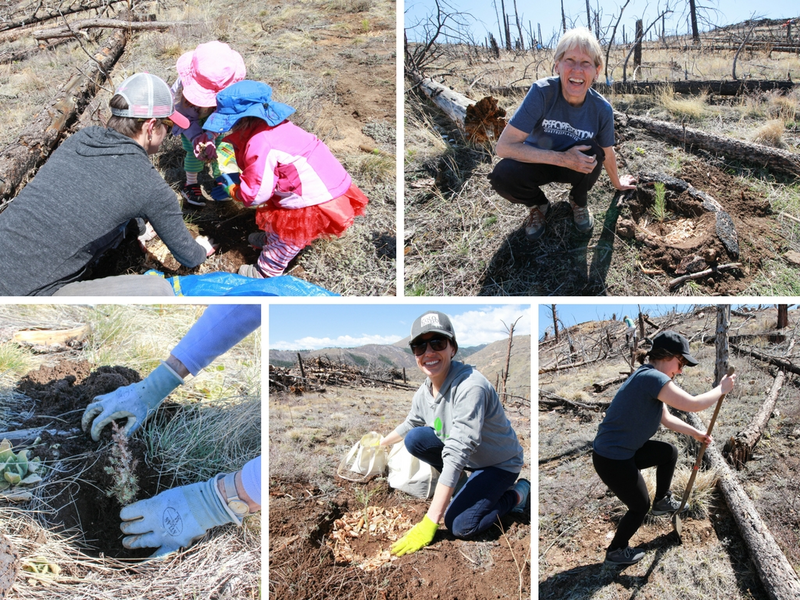 But volunteer-based events like this are truly special, because they give people an opportunity to come together, get their hands in the dirt, and experience what tree-planting is really all about (hint: it’s hard work, but very rewarding). 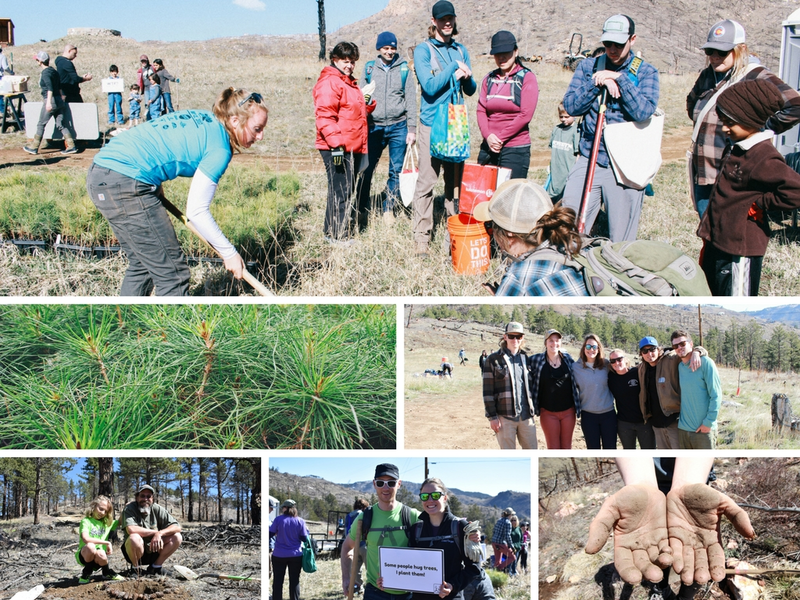 Our favorite thing about events like this is hearing people say that planting trees connects them with something deeper than office work can ever do. 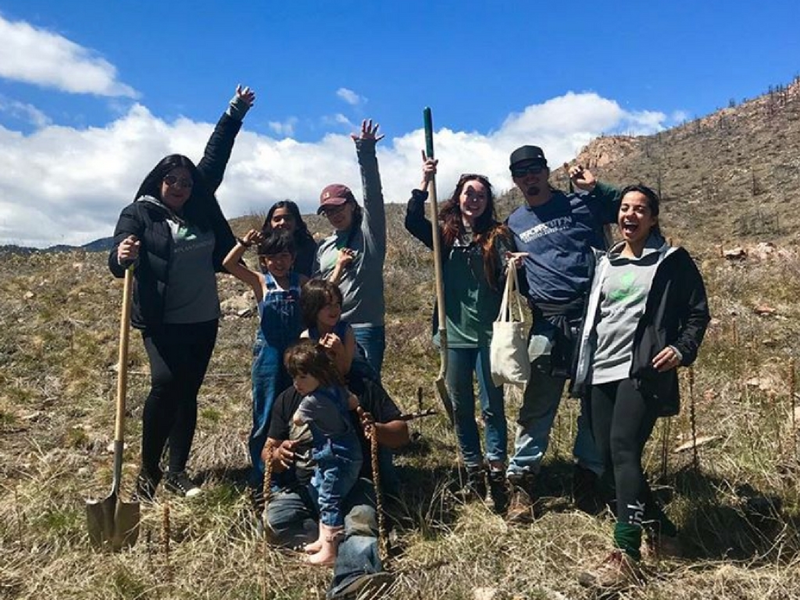 By planting trees, we plant hope, we give back to the land, and we understand the difference between appreciating nature in theory, and actually doing something that makes a positive difference. THAT is an experience that makes an impact. 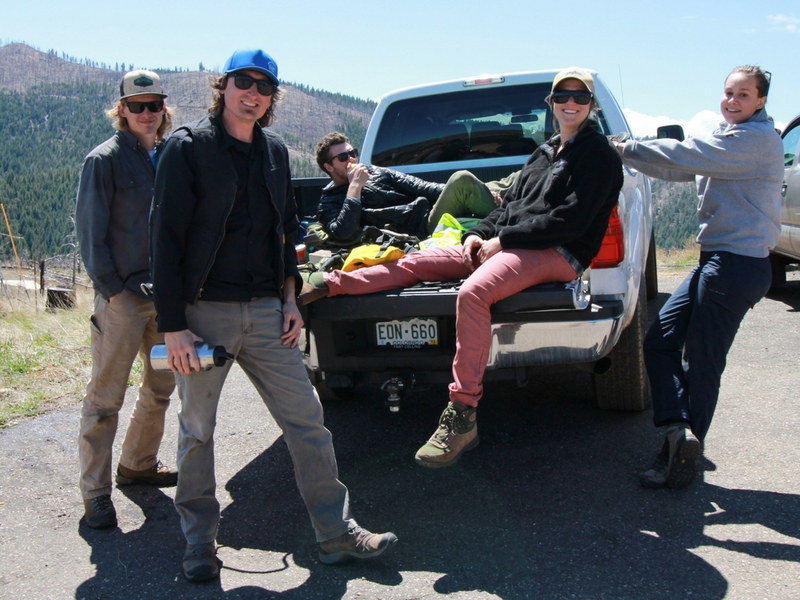 This year we also had the pleasure of working with an INCREDIBLE team of local eco-professionals. Maya from Fourmile Watershed Coalition was our on-the-ground coordinator who helped bring all the logistics together. She organized everything in a way that made it look effortless, which is not an easy task. We also worked with a crew from AloTerra Restoration Services, who helped to greet volunteers, gave demonstrations on how to plant properly, walked around during planting to answer any questions, made minor adjustments to the saplings to ensure optimal survivability, watered all the plants with their fancy portable hoses, AND did it all with a great, down-to-earth attitude that made the overall experience productive and fun! We also want to give special thanks to Live Clean and Celestial Seasonings, our main corporate sponsors for this event. With a generous donation and an awesome team of nature-loving people, they really helped bring it all together months before the big day. The event was originally planned for Saturday, April 21st, the day before Earth Day. But nature wasn’t going to have any of that. A cold front with LOTS of snow was in the forecast so we had to make the call to move the event with just enough time to let everyone know. We still went to the planting site on the original planting day just in case anyone didn't get our message, and were glad we didn't try to subject anyone to outdoor work that day. 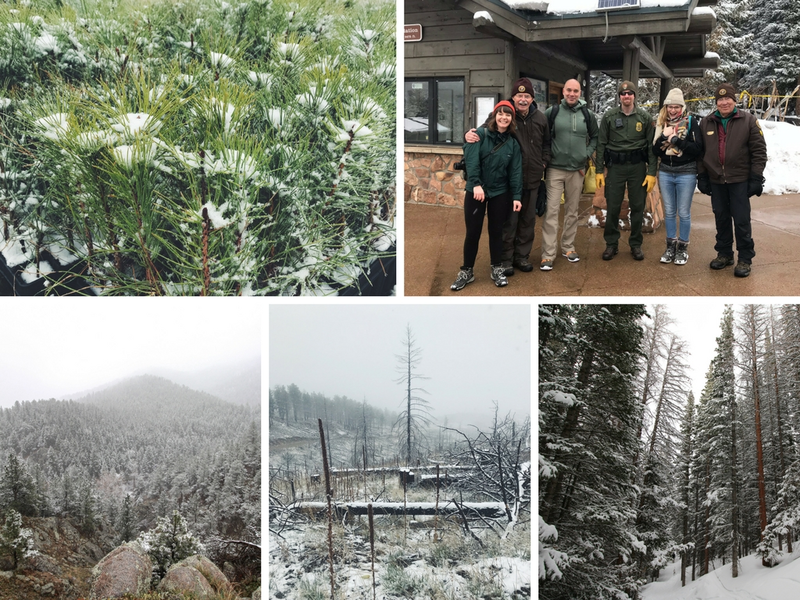 After making sure everything was good to go for Earth Day, we went for a snowy hike at Rocky Mountain National Park and crossed our fingers that the weather would be better the following day... which of course it was! The full Colorado experience! If the snow and cold persisted one more day, it would have been a far more challenging event to pull off in terms of actually planting all those trees. Have you ever tried to dig hole after hole in rock-hard soil with frozen fingers? It’s not nearly as fun! It all worked out in the end though. 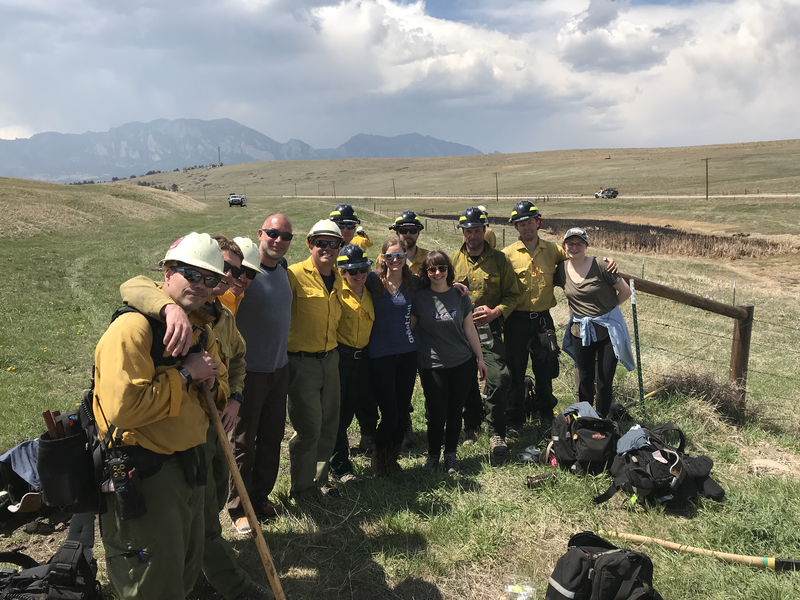 No One Tree Planted adventure is complete without hanging out with firefighters! 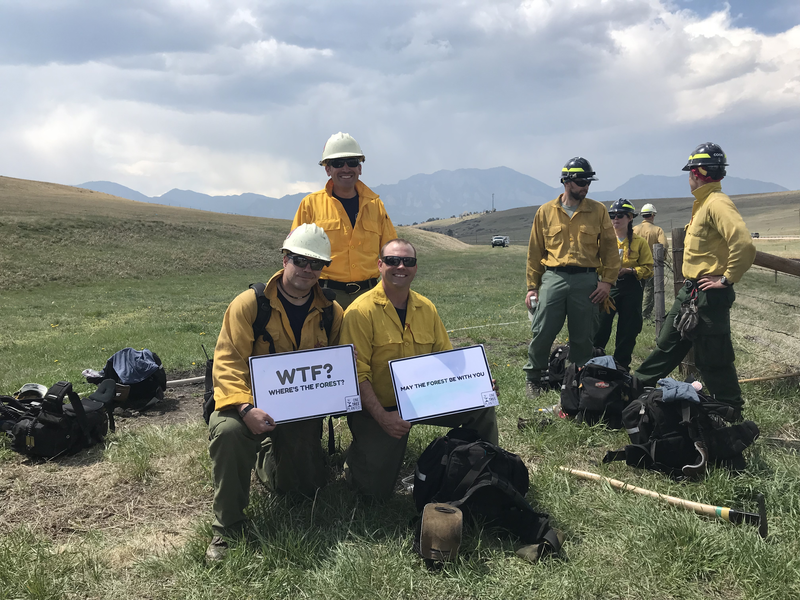 We got the chance to chat with the City of Boulder Fire Rescue crew as they were doing some water management work, where we got to learn a little more about what causes forest fires and how to address them. How many days until Earth Day 2019? See you next year Colorado! The world has lost billions of trees in the last few decades, let's restore our much-needed forests! 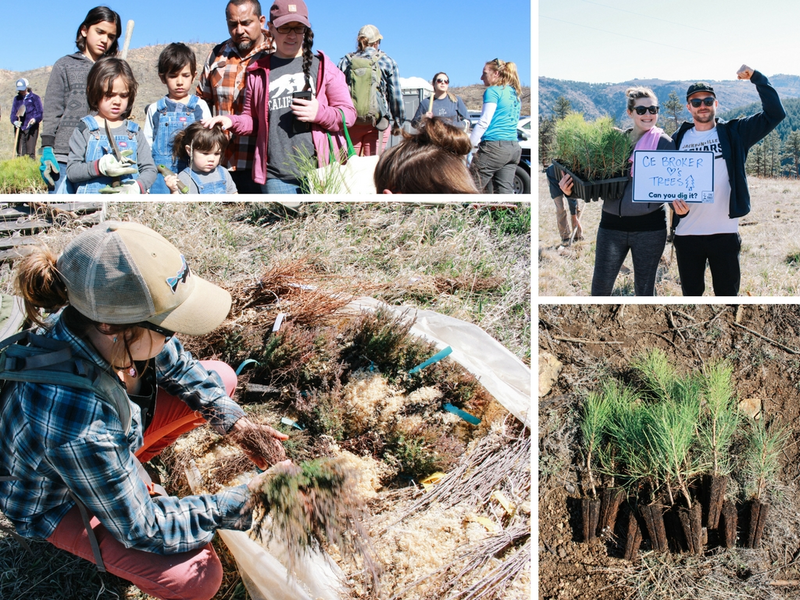 Every $1 donated plants 1 tree.